The Omega is the fourth bike model made by SBAY Motor Company. 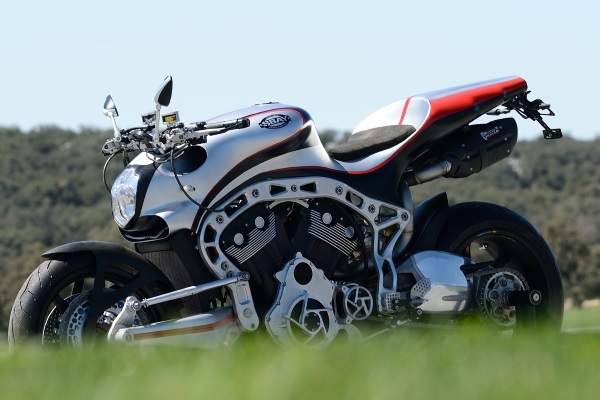 Definitely unconventional, it is powered by a Harley Davidson V-Rod Revolution engine wrapped in an omega type frame. Delivering on its promise to give the rider a unique experience, SBAY tailors every unit to its owner by having them test it over a week-end on the scenic roads around Ronda, in Spain.